New York's Niagara Falls is gripped by freezing weather, but that hasn't stopped tourists from braving the icy mist or children from enjoying the snow. "Imagine a person without this [shelter]. I can't even imagine that. You would pretty much die in the street. You would freeze to death." 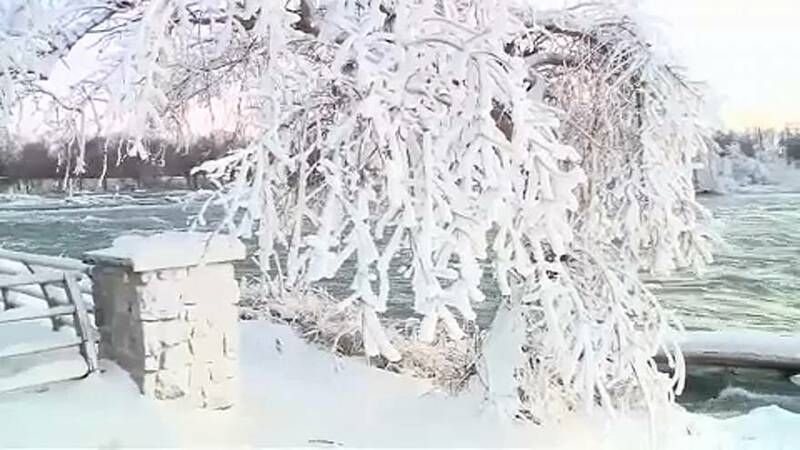 A large swathe of the northern US from Montana to Maine is expected to see temperatures below -12 degrees Celsius - and that's putting lives at risk. In snow-hardened Chicago, officials are blaming the cold for at least two deaths. Lee Lane found refuge in a city shelter. "Imagine a person without this. I can't even imagine that," Lane said. "You would pretty much die in the street. You would freeze to death". The Salvation Army's Tamika Rogers spent Friday checking on people at risk. "It's important because a lot of them don't have the support ," Rogers said. In Boston, Mayor Marty Walsh issued a warning for people out celebrating on New Year's Eve. "Watch out for signs of hypothermia and frostbite. In these very cold conditions frostbite can happen is as little as 30 minutes." Most festivities will likely go ahead as scheduled. About one million people are expected in New York City for what could be one of the coldest New Year celebrations on record.